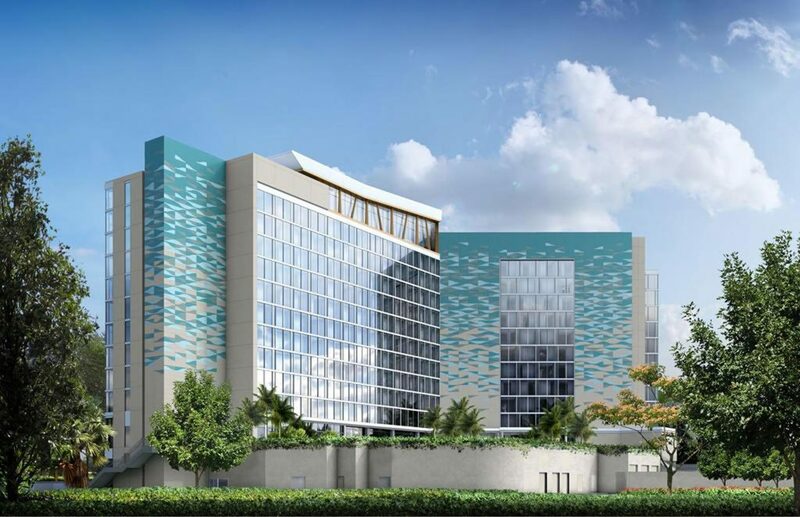 There is a new hotel coming to Walt Disney World and joining the Swan and Dolphin complex. 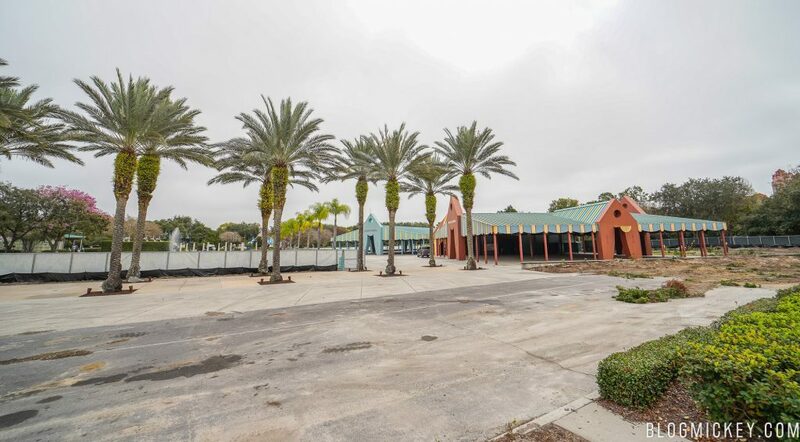 The Cove hotel was named back in late-November 2018 and work on the site is starting to ramp up. Marriott International is targeting a two year buildout on the hotel, which will likely mean it’ll be open sometime in 2021. We made it out to the Fantasia Gardens mini golf course to take a look at the site. 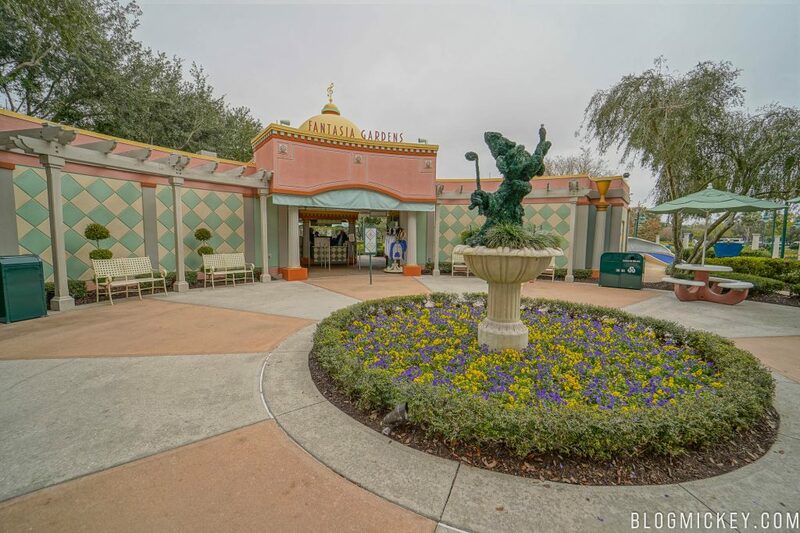 When it’s all said and done, Fantasia Gardens is still expected to remain in its current location. 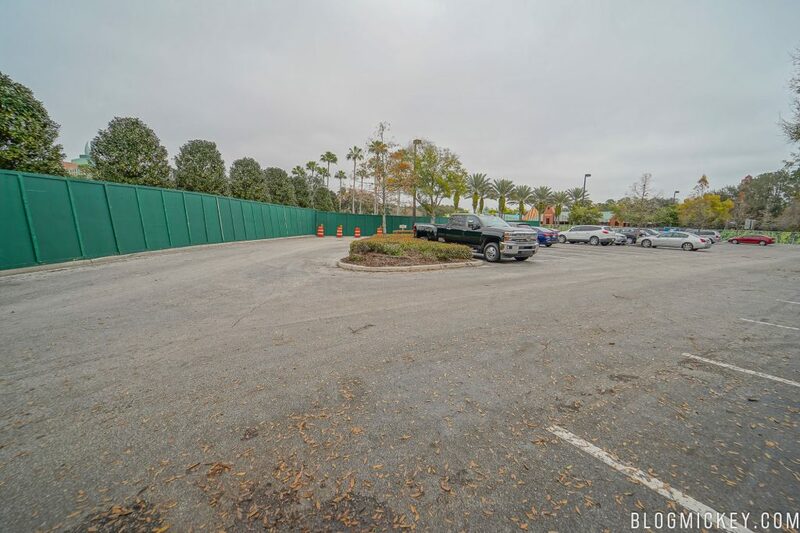 The Fantasia Gardens parking lot is about half the size as it was before the hotel was announced, with a sizeable portion now blocked off with construction walls. 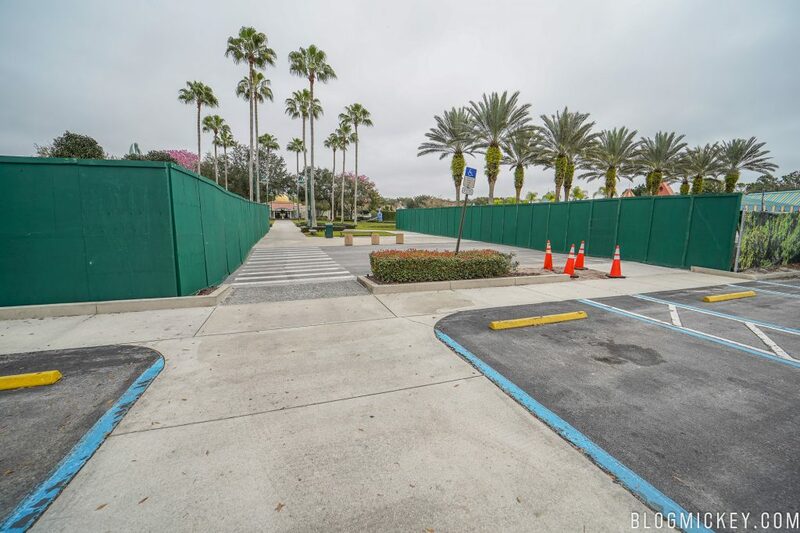 Here’s a peek past the construction walls at the blocked off section of the parking lot. 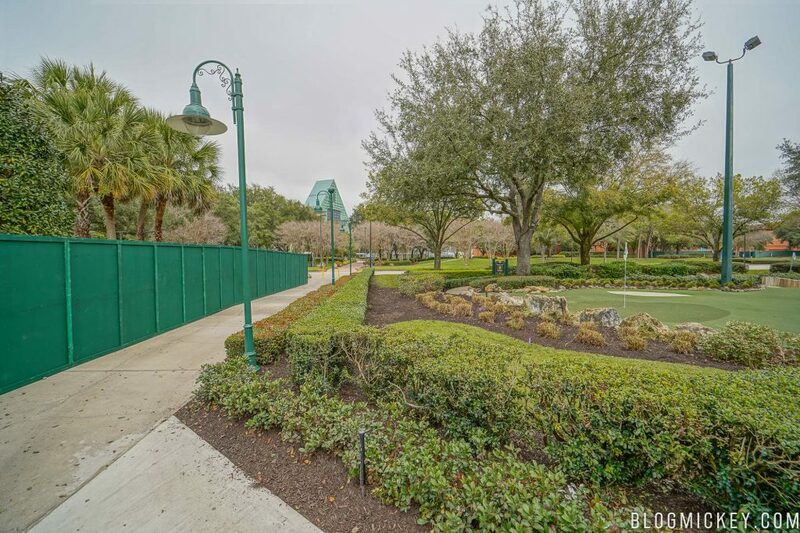 The Fantasia Gardens outdoor event space is now closed and will be turned into a parking lot as seen in permits filed with the state. 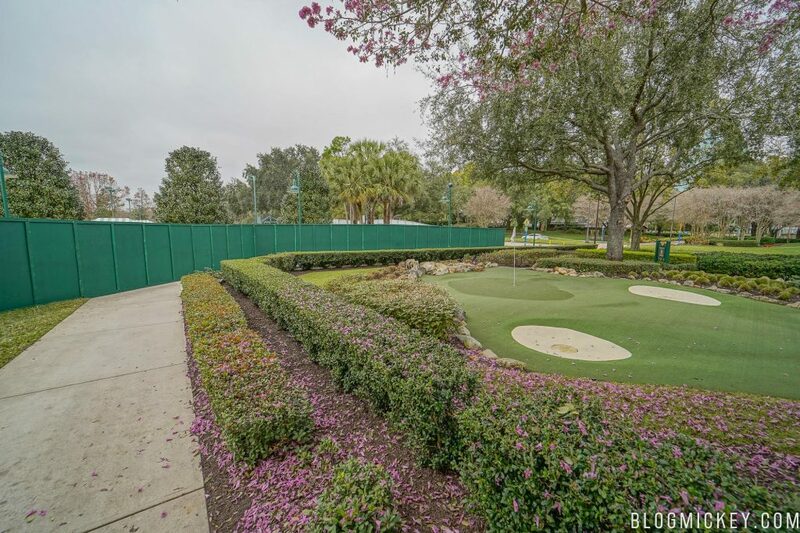 The walkway to the Fantasia Gardens mini golf course is lined with walls. The walls to the right protect the outdoor event space construction site, and the walls to the left protect the tennis court construction site. 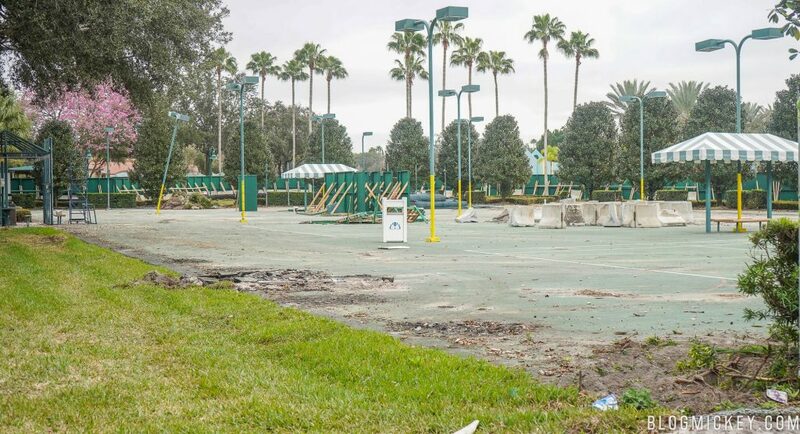 Fantasia Gardens remains open during the construction. The next two photos provide a good perspective on how close the walls are to the first hole of the Fairways Course. Here’s a look at the progress so far on the tennis courts. 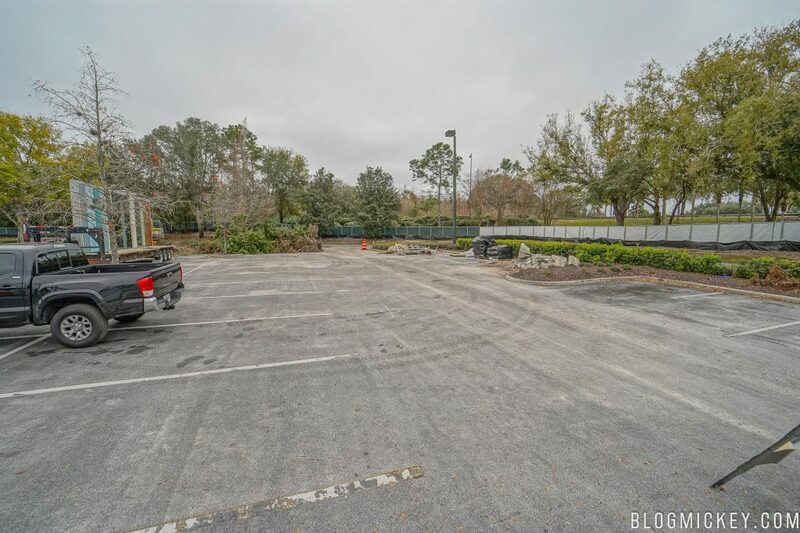 When the hotel is complete, a portion of it will sit on the tennis courts and a portion will be to the west, where the current parking lot entrance is. 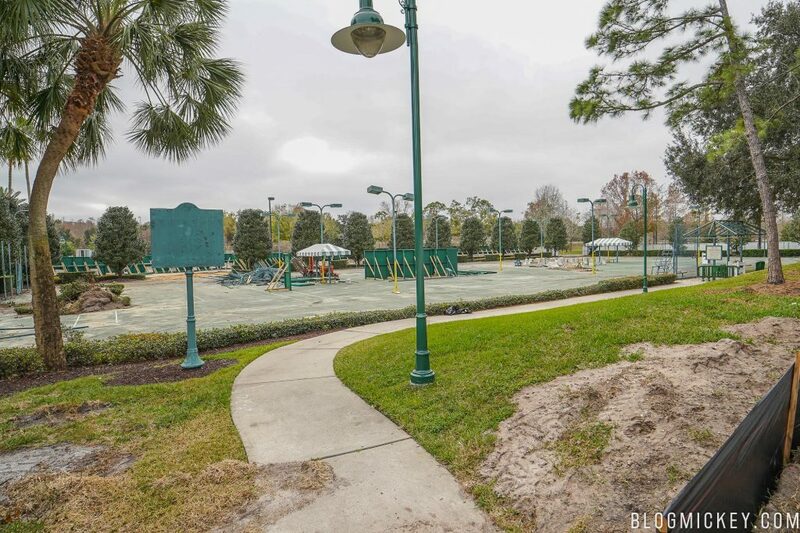 Keep checking back with us for more updates on this and many more construction projects from around Walt Disney World.